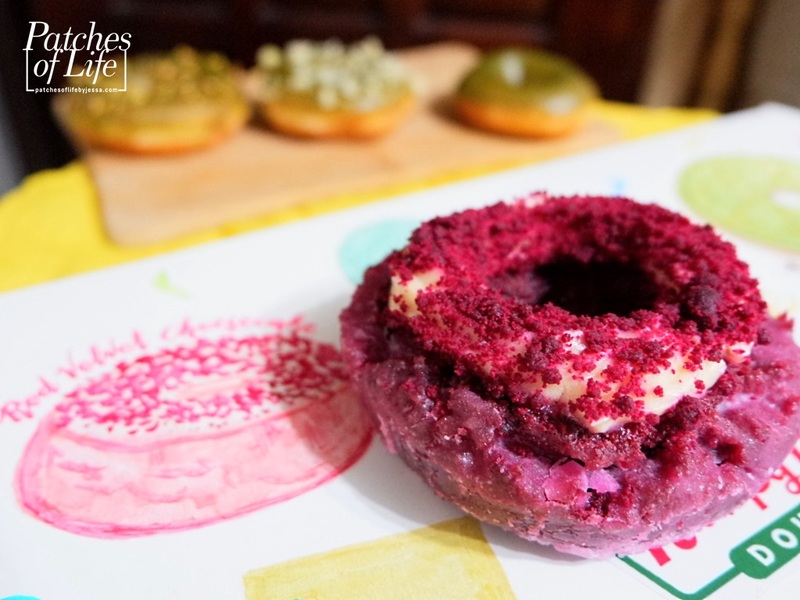 Home / Desserts / Doughnuts / Food / Krispy Kreme / Krispy Kreme: Red Velvet Cheesecake and Matcha Doughnuts! 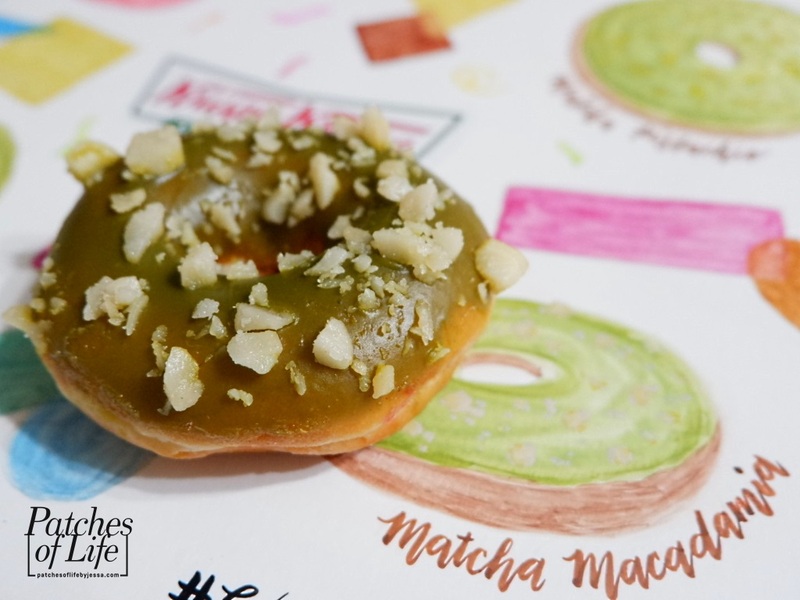 Krispy Kreme: Red Velvet Cheesecake and Matcha Doughnuts! Happy 2019!! 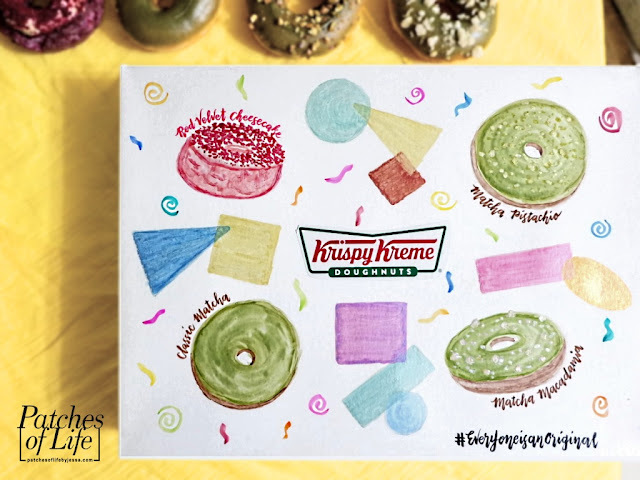 All good vibes to start the year with Krispy Kreme's new doughnut variants: Red Velvet Cheesecake and Matcha. I might be the happiest as these are the flavors I truly enjoy. Oh Krispy Kreme, how can you read my mind? 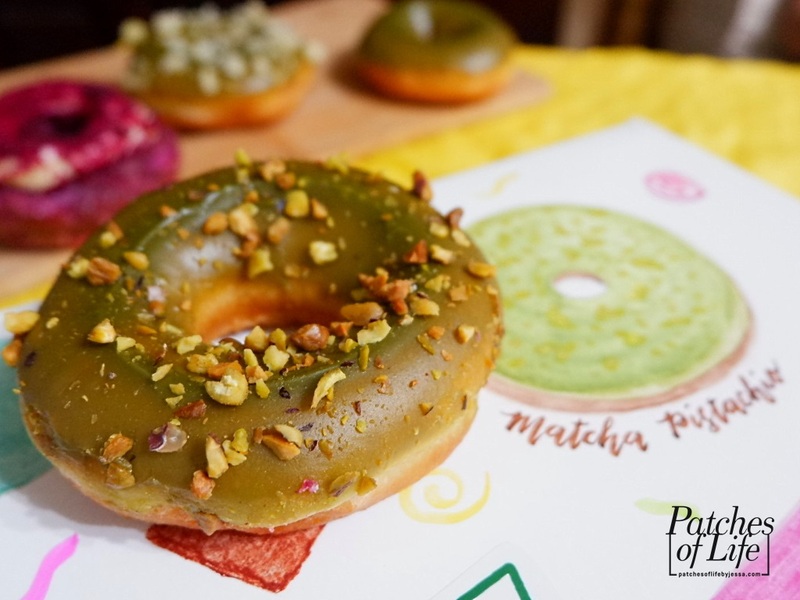 Matcha doughnuts come in three variants: Classic Matcha for that simple yet earthy twist, Matcha Pistachio, and Matcha Macadamia. The last two are for those who like it nutty. Just choose which you prefer. 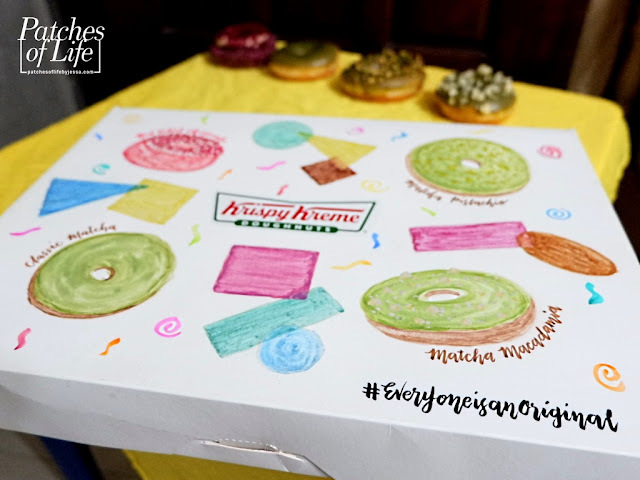 To give you an idea, imagine the well-loved Original Krispy Kreme doughnut finished off with green tea glaze. The matcha taste is quite evident but not too strong. There's still sweetness to balance it off. I'm an anything-matcha fan but between the two new variants, I fell more in love with this Red Velvet Cheesecake for a lot of reasons. For one, I've tried Krispy Kreme Doughnut Holes before. Matcha and Red Velvet were among the flavors but it was really Red Velvet that got my attention and became my instant favorite! So imagine it in a bigger form, an actual doughnut size. Oh, the frosting couldn't be any more appropriate -- New York Style Cheesecake. And as if it wasn't enough, it was topped with cake crumbs. 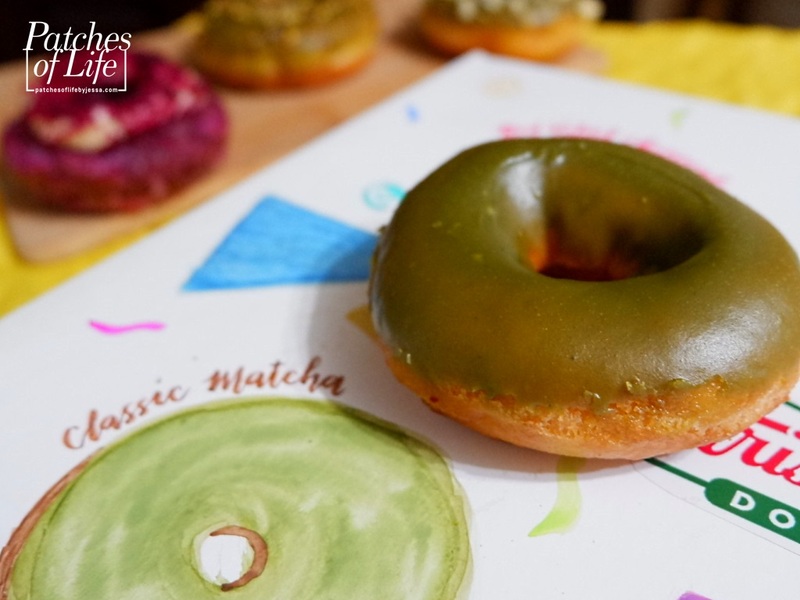 The texture of the doughnut base itself is different from Original Glaze, or the Matcha options. For Red Velvet Cheesecake, it is like uhmm.. a cake with slight crunch on the outside which I really love. I'm loving these new flavors that I decided to decorate the Krispy Kreme box with my original design. I just went on and had fun with it as after all, #EveryoneIsAnOriginal! Hope you like it! Go ahead and try these new flavors. Visit the nearest Krispy Kreme branch, order online at now.krispykreme.com.ph, or call 7-9000.
because #EveryoneIsAnOriginal, here's my very own design for the Krispy Kreme box! 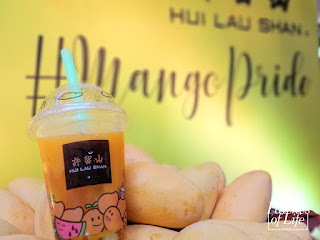 Disclaimer: I was provided products to try and feature in this post. Photos with my watermark are mine and shouldn't be used without my permission.